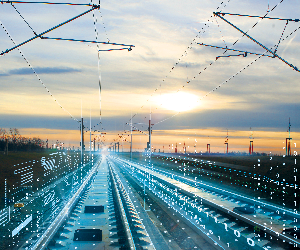 Together with renowned partners from the rail industry and politics, the largest rail conference in Europe in 2019 will take place on the 1st and 2nd of October under the competence partnership of Deutscher Bahn AG. 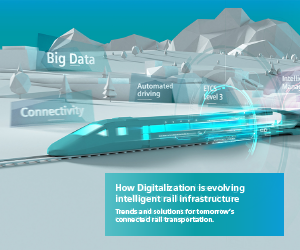 The rail industry is changing: a) the digitization progresses and anchors itself deeply in all areas of the system. b) It is followed by the vision of data-driven automation in the rail sector for greater efficiency and customer satisfaction. c) New technologies for vehicles, infrastructure and factories complement the technological revolution. d) In addition to technological development, the increasing European and global competition among producers and operators is causing adjustment in companies. These and further challenges force the rail industry to act and accelerate exchange. 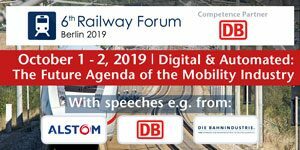 The developments will be discussed at the 6th RAILWAY FORUM Berlin on 01. and 02. October 2019 in Berlin. Patrons and substantive impulses are Uwe Günther, CPO, Deutsche Bahn AG and Rolf Härdi, CTO, Deutsche Bahn AG. At the RAILWAY FORUM Berlin, more than 1,000 decision-makers and specialists from the rail industry meet to discuss future developments and challenges. 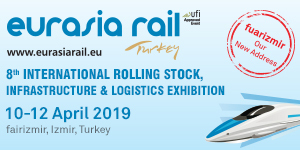 The circle of participants consists of railway operators, manufacturers, suppliers in all tier-levels, political decision makers and thought leaders from Germany, Europe and beyond. Selected program highlights include contributions from Dr. Richard Lutz, CEO, Deutsche Bahn AG, Dr. Jörg Nikutta, Managing Director Germany & Austria, Alstom, Dr. Ben Möbius, Managing Director, German Railway Industry Association (VDB), Michael Ziesemer, President, Zentralverband Elektrotechnik- und Elektronikindustrie (ZVEI) and Uwe Günther, Chief Procurement Officer, Deutsche Bahn AG. In addition to the conference, more than 110 exhibitors are expected in the accompanying exhibition. These present innovative solutions for the railway industry of the future. The exhibition area is divided into the areas of a) Vehicle Technology, b) Maintenance & Production, c) Rail Infrastructure & Construction, d) Vehicle Interior & Services, e) Systems & IT solutions and f) Other services. 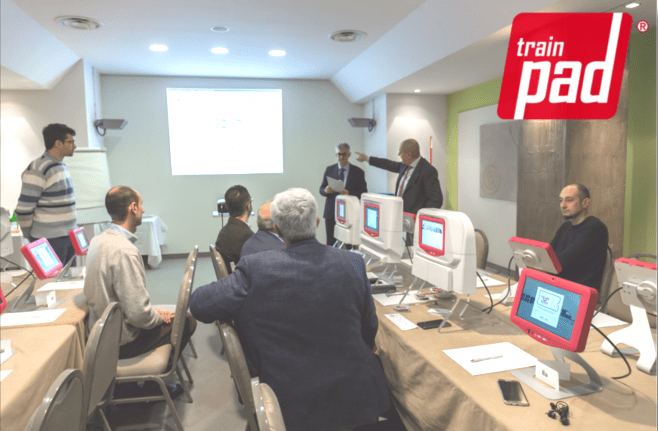 In all areas, the participants are looking for innovative solutions that advance the rail system.